Alcohol addiction is not something that’s going to go away immediately. To someone who has never experienced a struggle with addiction up close, it can be difficult to appreciate how hard it can be to just quit drinking. 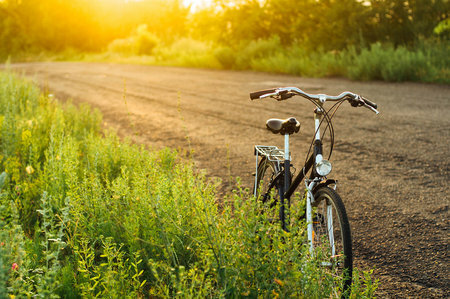 The truth is that learning to overcome an addiction can be a very difficult process of learning how to undo years of damage, and discover healthier ways of being present in the world. Checking into an alcoholic rehabilitation center for alcohol addiction treatment can be a really important way of beginning the recovery process and learning how to rebuild your life and your health from patterns of addiction. Here are a few details behind what the alcohol rehab process is like, how to choose a treatment program that will work best for you, and know how to get the best out of your experience so it sets you on the beginning of a life no longer controlled by drinking. Location – You can find rehabs in almost every part of the U.S., including close to where you live. However, it is often valuable to take a total break from your normal life, and find facilities that will be comfortable for you. 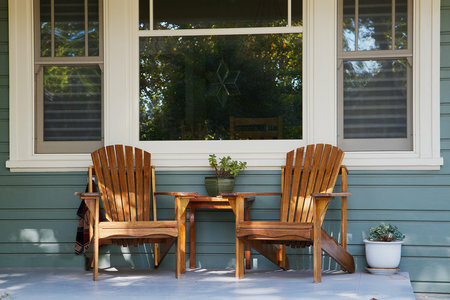 Beautiful natural settings and facilities that are more homey can help you breathe and feel relaxed, allowing you to quiet your mind and focus on self-examination. The amenities range from bare bones to “luxury rehabs” that rival the treatment you may receive at 4 and 5 star hotels and spas, but the important thing is that you should feel comfortable and at ease, so there are no distractions and you can focus totally on your recovery. Staff – The professional therapists, doctors, and addiction specialists can have a profound impact on how much you learn from your time in rehab. They should be well-trained and experienced, able to offer both expertise and compassion as you work through and confront the issues that have led to your addiction. A low staff-to-client ratio may be an important sign that the center will have adequate time to personalize its care and form important healing relationships. Programs – Treatment that works well for one person may be less successful for someone else, so be wary of programs that suggest a “one size fits all” agenda. The best treatment centers will recognize that fact, and so make use of a variety of potential services and treatments, so you can experiment and find what works for you. They should rely on a secure foundation of evidence-based treatments, but also be open to trying new things and creative programs. Some essential elements you will encounter at any alcohol rehab center include support groups, therapy, and opportunities for physical exercise. However, there are a variety of ways and methods to accomplish these goals, including cognitive behavioral therapy, meditation, nature therapy, and art and music therapy. Payment – You may have some concern over the expensive of rehab, so having conversations about affordability is an important question to ask. Most centers are able to work with your insurance provider to cover significant portions of the cost, which can allow you to receive better care than you might at a publicly funded alcohol treatment center. Speciality – Many centers offer care specialized by a variety of factors that can influence the nature of your addiction. Care that is specialized for particular ages, genders, religions, or sexual orientations can allow for connections to people with whom you have those factors in common, and allow for care sensitive to those particular needs. One especially common issue in need of specialized care is dual diagnosis, in which your alcohol addiction appears alongside a mental health disorder. An alcohol rehab treatment center with resources to treat both conditions alongside each other, and explain the ways they may relate. With inpatient treatment, you move into a facility for 30, 60, or 90 days, depending on the severity of your addiction. This will allow you to take a break from your daily life, and focus all your energy on the work of recovery. During this time, you will undergo a variety of therapeutic treatments that will help you move on past a drinking problem and regain control of your life. During this time, you will discover that It is not enough simply to cut out drinking and otherwise leave you life unchanged. When a person is addicted to alcohol, drinking takes over, and you can think of nothing more than getting your craving satisfied. The needs that go along with being human, including physical and mental health, a supportive social network, and a life of purpose can easily go by the wayside as you find that nothing brings joy or feels important other than having your thirst satisfied. That is why taking a break from your normal routine and having the chance to focus on nothing but your recovery can be a vitally important first step towards a life of freedom and sobriety. Outpatient treatment involves participation in many of the same rigorous self-examination, therapies, group meetings, and educational sessions as inpatient rehab, but you do not live there. This allows you to continue to live at home, go to work, and receive treatment at a time that works for your schedule. While this added convenience can be a huge boost in allowing more people to participate, it is not recommended as a first step for chronic alcoholics. Someone with alcohol addiction will be vulnerable to relapse if they return to their familiar environment too soon. However, people with less severe drinking problems or with addiction in less severe stages can benefit. In addition, people can use outpatient treatment as a next step after their inpatient rehab, as a way to continue to receive treatment from addiction specialists. Going to meetings and therapy, as well as helping others in a safe environment can be a good way to reaffirm and strengthen a commitment to sobriety. If someone has been drinking heavily and habitually over a long period, their body will develop dependency, to the point that it will react negatively without alcohol. The addiction has reached a point of severity where the body needs alcohol in order to function properly, a common effect of substance abuse called tolerance. Once the drinking has discontinued, you may experience some uncomfortable, or even dangerous, withdrawal symptoms. If this is the case, an alcohol detoxification is called for as the first step in rehab. Anxiety – feelings of stress, apprehension, worry, or nervousness. Alcoholic hallucinosis – visual, auditory, or tactile hallucinations. The length of time and intensity of withdrawal symptoms will vary considerably based on the level of your drinking habits and the length of time you’ve been abusing alcohol. Generally, minor symptoms begin 6 to 12 hours after you cease your consumption. More severe symptoms usually begin 24 to 48 hours. The worst part of withdrawal peaks at around 72 hours. While you may still experience some mild physical or psychologically unpleasant symptoms, your body will continue to heal if you are able to maintain sobriety. During the detox period, you will be able to rest and allow alcohol to totally leave the body, and wait out the most serious phases of physical dependence. Trained and experienced health care providers will keep watch over you, and do whatever you need to stay as safe and comfortable as possible. Medication and specially designed nutritious meals can also be an important part of helping your body to feel restored. After detox, the work of recovery and learning to rebuild your life can begin. The first step will be a detailed examination of your physical and psychological health. A detailed physical exam will be followed by a variety of questions about your use of alcohol and other drugs. A lot of times, addiction is sustained through denial and deception of yourself and others. You find rationalizations for your behaviors, don’t keep track of how out of control your drinking has become, and make excuses for behavior you minimize. Now is the time to abandon illusions for your behavior, and be as honest as possible. No one is going to judge or condemn you for your behavior, because everyone at the facility can recognize just how powerful a hold the disease of addiction can have on a person’s life. So you must try hard to be as honest as possible. Knowing all the details behind your particular story can help everyone best build a program for you, that will be of maximum benefit as you seek to restart your life along the road to recovery. In order to have a successful recovery, you should have a plan for when the rehab treatment ends. Without on, it can be very easy to relapse, and fall back into old patterns as you return to the stresses and craving triggers of everyday life. A good rehab center should have resources for “aftercare,” in which you can continue to receive support for the many ways it may be difficult to keep growing in recovery after your time in residential rehab is complete. Group support meetings can be one of the most important way to maintain your commitment to recovery, get support for challenges that and have opportunities to help others. 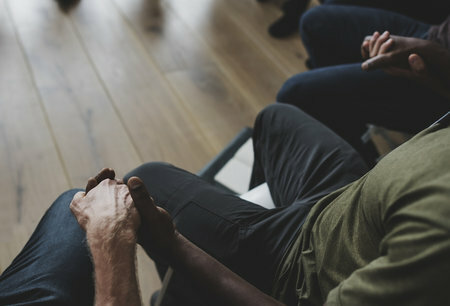 Alcoholics Anonymous is the most well-known and widespread opportunity to find support meetings, and the 12-step method has helped many people have a method and program to make a full recovery “one step at a time.” The 12-step program will help you deal with the ways you have hurt and wrong people, make restitution and attempt to reconcile, and then gain ownership over your life as you continue to grow in recovery. There are also several alternative organizations that offer their own programs and perspectives on recovery that also sponsor peer group support meetings. These include SMART recovery, SOS (secular organizations sobriety, or Save Ourselves), as well as groups run by particular faith-based organizations. Regardless of which program you decide is right for you, it is vitally important to find a way to develop a network of people who can offer honest, nonjudgmental, and safe support to help you navigate the challenges of life. Not being alone is a very important part of feeling empowered enough to reject your cravings, and choose to take control of your own life.